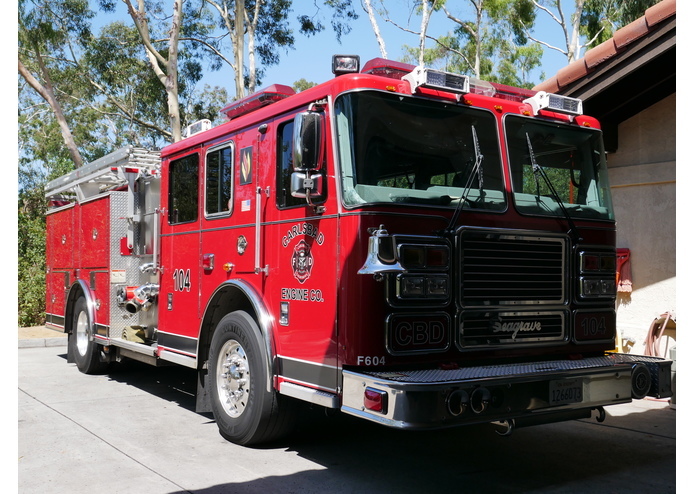 Cal Fire Update is fast and efficient, just like Carlsbad's Station 4 fire truck! Growing up in Southern California, I know how frightening wildfires can be. They are fast, unpredictable, and in some cases deadly. We're seeing unprecedented massive scale fires, such as the Mendocino Complex Fire and the Carr Fire, all within the last few months. As fire season has become a year-round event in California, I knew I needed to find a way to help my local community during these stressful times. I’ve personally experienced a few fire evacuations in my lifetime, and I know how quick everything happens. You don’t have more than a few minutes to grab what you need and get out. Information is vital, and the number one resource for fire information in California is through Cal Fire. A few years ago, there was a large fire here in Carlsbad, California, not far from where I live, and I remember constantly checking San Diego County’s Cal Fire Twitter page for updates. It provided me with everything I needed. It detailed the level of containment and whether evacuations were lifted for our area. It kept my family and I in the loop. Now, a few years later, it gives me great happiness creating an Alexa Skill that provides this useful information through a consolidated, hands-free, and entirely vocal experience. Cal Fire Update allows anyone to stay up-to-date on the latest Cal Fire news, quickly and efficiently. Upon opening the Skill, users are first given the most recent live news from the official @CAL_FIRE Twitter feed, and then given the option to choose a specific Cal Fire county, such as Mendocino. There are currently 27 available Cal Fire counties to choose from, plus several non-official Cal Fire Counties, such as Santa Barbara and Orange County (news derived from each county’s Fire Department Twitter feed). During active fires, these reports typically include acres burned, percent containment, evacuation zones, and emergency resources. Users may also ask for a specific county at the start, for example, if a user notices smoke in their area, they can quickly say “Alexa, ask Cal Fire Update for Riverside” to hear the latest regional news. If there is an immediate wildfire threat nearby, this hands-free approach allows users to gather their family members, pets, and emergency supply kits quickly, without wasting time on a cell phone or computer. Beyond the news, I’ve included a section called Fire Resources, which contains daily fire tips, a wildfire checklist, and disaster assistance. Daily Fire Tips is an easy-to-use/habit-forming resource that gives helpful advice on wildfire prevention, evacuation procedures, and disaster readiness. One example would be to leave your lights on during an evacuation, so that fire crews can visibly see your house through the smoke. These tips are pretty handy, and serve as helpful reminders for anyone living in fire prone zones. The Wildfire Checklist is an interactive checklist inspired by the Ready, Set, Go! campaign by ReadyForWildfire.org. This checklist goes through the steps of preparing for a wildfire. Users learn about defensible space, setting up an evacuation plan, creating an emergency supply kit, and developing a family communication plan. Along the way, Alexa will ask if you’ve completed each step, which will determine whether or not you can progress. If you haven’t completed a step, Alexa will advise you to complete the task, and come back to continue the checklist. This Skill will save the place where you last left off, but users may also skip ahead to certain places in the Checklist, for example, “Alexa, ask Cal Fire Update for Section 2.” If users successfully go through the entire checklist, they will be much more prepared for a potential wildfire. Finally, Disaster Assistance is the newest addition to Cal Fire Update. Alexa will ask users for their California Red Cross Chapter, for example, the Red Cross San Diego. This will provide users with the latest tweet for that Red Cross region, which oftentimes during a disaster, will detail evacuation centers and overnight shelter locations. In addition to the tweets, I’ve included each chapter’s Red Cross phone number, so that users can quickly reach out if they need further information on shelter hours, volunteering opportunities, or any other disaster relief inquiry. I love the simplicity of Storyline, which is the platform I used to build this Skill. For embedding the live Twitter feeds, I first needed a stream of conditional statement chains. I used a service called IFTTT (If This Then That) to create a series of applets that connect directly to each Cal Fire Twitter account. These applets then connect to Google Spreadsheets. Then, once connected, I published the spreadsheet to the web, converted the sheet to JSON, and fed this into Storyline. I used this same process for the Disaster Assistance section. Overall, I used a fair bit of SSML to enhance the Skill’s fluidity, and added a few speechcons to the wildfire checklist to liven up the sense of accomplishment. I also utilized the Alexa Skills Kit Sound Library to improve the overall user experience. Most sound effects came from the newly released Game Show category, which seems to translate well to a news-based Skill. My primary goal was to build a simple Skill, and while Cal Fire Update provides many features, I worked hard to simplify and enhance the balance between dialogue and sound effects. My biggest challenge was structuring this Skill in the most efficient/user-friendly way as possible. My initial design involved a main menu, where users could choose from fire resources, a wildfire checklist, or California fire news. But I quickly saw that this was an extra layer between the user and the fire information. So, I set the Cal Fire news as the centerpiece, and the fire resources as additional material, and now it flows nicely. When I first started testing, I also noticed that some of my testers would choose non-official Cal Fire regions, for example, they would ask for San Francisco, when it wasn’t readily available. So I’ve been continuously adding more counties as a way to accommodate for this. And the last (and most time consuming) challenge involved putting the video together. Getting ahold of Carlsbad’s Fire Department Battalion Chief took a few tries (his schedule is pretty full!). But I finally got through, and we were thankfully able to schedule a demo at Carlsbad’s Fire Station 4 before the submission period ended. Everyone I’ve talked to (Scott McClean, Pablo Scheibe, Battalion Chief Sugahara) are all extremely busy serving and protecting our local communities here in California, and I feel extremely lucky that they were able to take a quick minute to discuss and learn about my Cal Fire Update Alexa Skill. Winning the approval of Scott McClean (Cal Fire’s Chief Officer of Information) is a huge accomplishment for me. Scott is in charge of Cal Fire’s Communications Department in Sacramento. 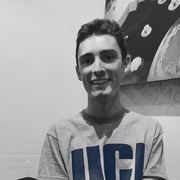 He oversees all forms of multimedia, including social media, which covers the Cal Fire Facebook pages, Instagram Accounts, and every Cal Fire Twitter feed. Scott and I have spoken on the phone a few times already, and he’s thrilled by the Skill and it’s potential. He loves that it’s a whole new platform for leveraging information for the public. We talked about the benefits this can bring to those with vision impairment, the elderly, and those directly impacted by wildfires. He’s given me some great resources and insight, and I’m incredibly grateful for his advice and support. I’m also proud of pushing past my comfort zone. I’ve talked with so many members of my community and met with some of the most incredible people. Filming the video with Carlsbad Fire Captain Pablo Scheibe was a blast. Pablo and the firefighters at Carlsbad Station 4 were incredible. They played around with the Skill, gave me feedback, and opened my mind to new possibilities. These people have encouraged me and truly inspired me to make a difference for our community. I personally know how scary it can be during a wildfire to not know what’s happening, or to be unsure of how to respond. This skill gives users peace of mind. It keeps us Californians in the loop, and helps families actively prepare for the possibility of a fire threat. This can truly help people. I learned A TON about fire safety. You want to know how to prepare for a wildfire? I can tell you everything you need to know! I also learned a lot about information, and how users engage with live news. For me, there was definitely a learning curve at first. Most of my published Skills are either kids games or lifestyle relaxation/sounds, so Cal Fire Update required a new approach in terms of voice design. I found that brevity is key, and that information should be live and plenty. The experience HAS to be easy. And when it comes to the news, people need the information NOW. Furthermore, I learned the power of reaching out. Our local community members love engagement. They love people that give back, and they are willing to help those who ask for it. If you’ve built an Alexa Skill that fills a need, pick up a phone and tell someone about it. You never know what connections you might make or information you might gain. I’ve learned a lot these last few weeks, and the connections I’ve made have helped me transform Cal Fire Update from an interesting idea to a tangible fire resource. I’m planning on adding multi-modal support. I want to integrate the official Cal Fire incident map for Echo Show, which would show a map of California and the active fire locations. That would be awesome. I also want to add the ability for users to choose specific active wildfires, such as the Holy Fire, without needing to choose a specific region. This would definitely enhance the user experience. And finally, it would be great to add resources such as FIRESCOPE (FIrefighting RESources of California Organized for Potential Emergencies) to this Skill, and set up a section dedicated for firefighter use. This way firefighters could have an Alexa device at each fire station and receive updates and notices. As you can see, Cal Fire Update opens the door to a lot of possibilities. I hope this Skill inspires others to follow suit, and lead to the creation of more Skills dedicated to the betterment of our local communities. Thank you Amazon/Devpost for creating this Challenge and sparking our imaginations. We’re seeing firsthand that we can truly make a positive difference in our communities using Alexa. I built the Skill by myself, but I had A TON of support and feedback from my family, friends, neighbors, Storyline community, Cal Fire's Scott McClean, Carlsbad's Chief Battalion Sugahara, the Carlsbad fire crew, and a special shoutout to Fire Captain Pablo Scheibe! Thank you everyone! I couldn't have done it without all of these amazing people! Hello everyone! I'm excited to announce the new Fire Resource section for Cal Fire Update! Use the interactive checklist to prepare you and your family for the next wildfire. And if you'd like to follow the Cal Fire Update journey, head over to https://www.seasidevoiceapps.com/ for live Cal Fire Twitter updates, and (coming up) the story behind this community project!